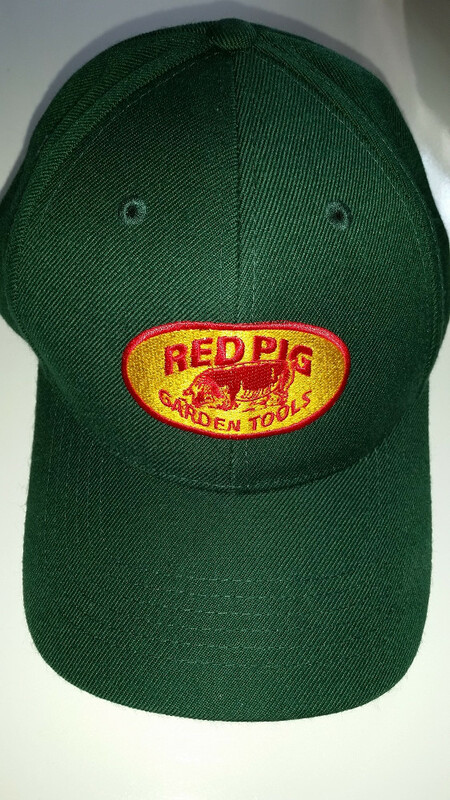 Put a Red Pig Hat on that precious head of yours! Our hats are structered and have a mid profile. They are made of 100% cotton twill or a wool blend. The closure in back is a "hook and loop" design for easy adjusting. 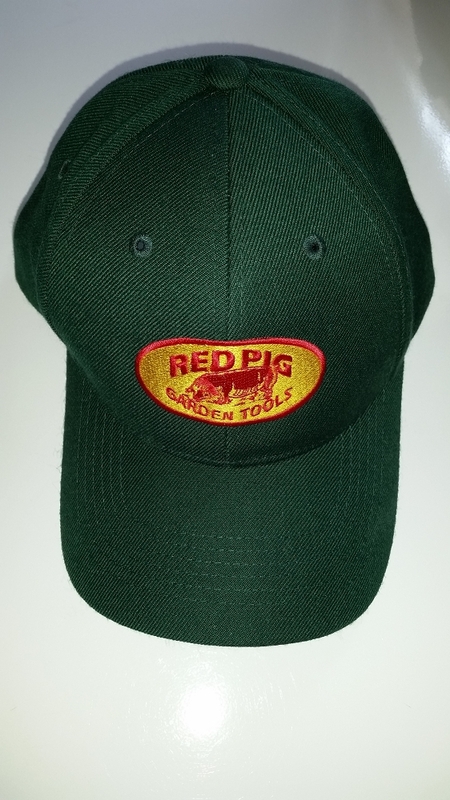 They come in two colors: the cotton twill is a Hunter Green with our logo embroidered on the front in red and yellow-gold. The wool blend is Black with our logo embroidered on the front in red and yellow. 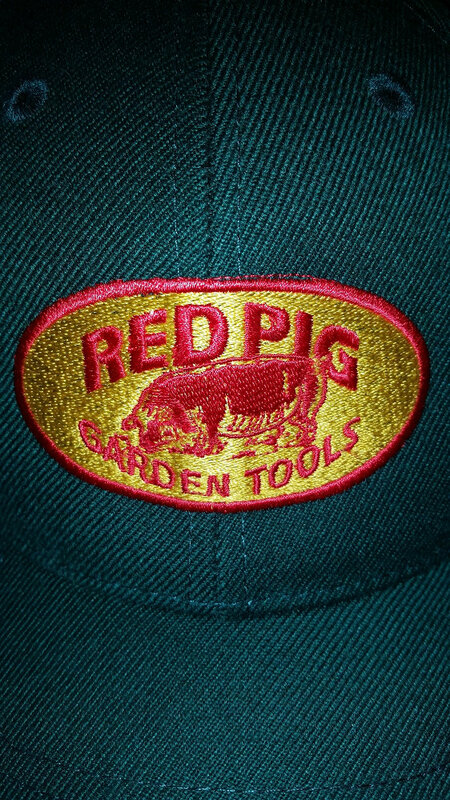 They make a great gift for a gardener, a Red Pig Tools owner or a hat collector.